Please include more wildflowers and native plants in your garden. Chosen well, these plants, more so than many others, seem to survive, if not thrive, in a wider range of weather extremes. Garden fairies here! Goodness, you can thank us later for rescuing this post. We have no idea where Carol was headed with her thoughts but whew, we are garden fairies and we almost fell asleep reading it. So, we garden fairies are going to save this Wildflower Wednesday post which is sponsored by Gail at Clay and Limestone and tell you the truth about wildflowers and native plants in the garden. The truth is... everyone should have some wildflowers and native plants in their gardens. They seem to survive and even thrive in these hot, dry summers around here. We are garden fairies, do not question us on this. And do not tell us that we just wrote the same thing as Carol. We are garden fairies, those are our own thoughts and we thought of it first. We are garden fairies. Dear Thorn, well said, even if Carol had just said the same thing. Wildflowers should be in everyone's gardens! Thorin, don't worry--you don't need to come and put a curse on me! This hot, dry summer has proven once again the value of natives. I agree, every garden needs some wildflowers! Dear Thorn: Not to worry and there is no reason to place a "Garden Curse" on anyone. 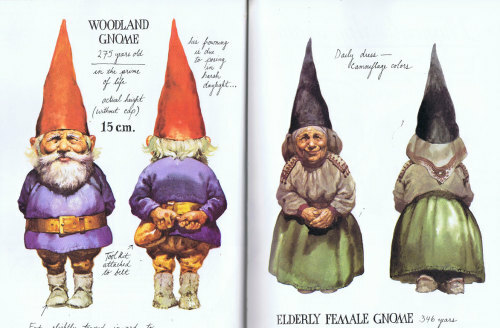 I certainly don't want to anger the garden fairies! I have plenty of native plants in my totally organic garden. They are lovely and easy to care for and have come through our long, hot summer just fine. Making sure that my garden is always mulched, and watered when needed, has also been the reason why everything is my garden has thrived this season. My those garden fairies are bossy! Nothing says summer like black-eyed susans. They bring back such happy memories. So... Does it matter if those native flowers - like, say, rudbeckia - are not exactly native to the country - like, say, Denmark - where you do your gardening? Here in the Seattle area, where we get less than an inch of rain per month in the summer, our natives pretty much cope with our summer drought by going dormant and/or looking like hell. They're good in a spring garden, but a summer garden, not so much. PS Our garden fairies pretty much cope by going dormant, too, napping in the shade a lot. I won't comment on their appearance. It wouldn't be kind. well, garden faries, I personally think Carol just listens to you and then pretends that she comes up with all this stuff on her own. Such wise advice to plant wildflowers. So little fuss, compared to other fussier plants. 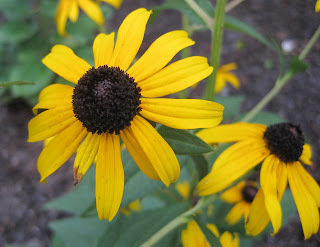 And so many are just plain pretty, like your rudbeckia. I have wonderful echanacea and goldenrod (who would have thought when I grew up that you could buy cultivars). I hope my garden fairies are happy, they are the shy, silent types. PS, I wanted to share with carol and the fairies, how much I have been enjoying your blog and your garden fairies and cast of characters in the garden. I have been linking to you for some time now and wondered if you would consider linking to my site. I would truly be honored if you did. I really like you post. I really want to see Wildflowers in everyone's gardens.